Marketing your mobile app? There’s an app for that – really! There are some powerful analytic, crm and tracking applications available online (and in the App/Google Play store) that can help your launch be a success. So, you’ve finally done it. After months of labor, headaches, and beta tests you’ve finally managed to launch a mobile app for your business. You’re in the App Store or Google Play store (maybe even both). You’ve got a gorgeous and functional app that you know users will love. A self-congratulatory pat on the back is in order. You hit the big red proverbial button and both Apple and Google play launch your app into user space. But then…nothing happens. Where are your users? Where are the throngs of adoring reviews? This app was supposed to put you on the map! What happened? It’s at this moment in the launch of a mobile app where the developers and management realize that creating a beautiful, error-free app is the easy part of taking on the mobile space. With Google Play and the App Store nowhosting a quarter of a million apps each, marketing your new mobile experience to the world should be at the top of your “Things I Should Really Be Thinking About” list. Have no fear for the team at Fueled has assembled a list of six must-have tools to propel your new app to mobile glory. 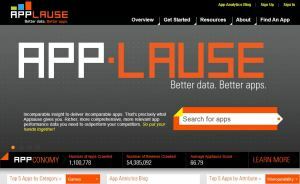 MobileDevHQ is one of our favorite app store analytics suites for mobile apps. It’s essential for engaging In-App Store Optimization, which is the mobile equivalent of Search Engine Optimization (the process of getting your site to rank higher in search engines). MobileDevHQ provides tools on selecting good keywords to fit into your App Store and Google Play preview pages so that you can be found in search, as well as robust reporting on your search rankings versus competitors in your niche. A sleek interface and exportable reports makes this a well-rounded tool for boosting your app’s discoverability. Getting users to find and download your app is just the start of the battle. Ensuring that users actually enjoy using your app is the next step. Once apps start receiving thousands of downloads, reviews inevitably follow. While nobody likes negative reviews, they are a valuable learning tool. Enter Applause. Applause is a tool that leverages your reviews to measure your app’s quality over several attributes and then gives you a score. Think of it like Klout for mobile apps. The scores help you see how your app stacks up against competitors or earlier versions of itself. Applause can even group reviews by keywords to let you see how many people are talking about particular issues in your app. It probably isn’t necessary in 2013 to explain that having a website is important in any marketing effort. 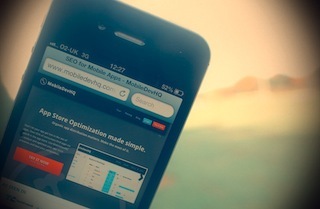 Websites can be used to drive paid, organic and direct traffic to your app download pages. Setting up a well-designed landing page is important. Smore, a startup that helps people create beautiful landing pages quickly, easily and “free-ly” offers an app centric version of their product called “App Flyers”. You can use your own domain, track downloads, promote your site and even send out emails with the design. The best part? The designs are all mobile friendly. 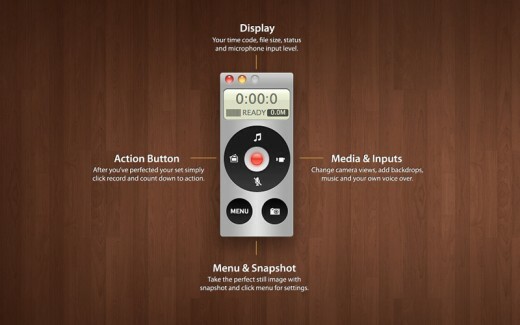 What better way to convince potential users about how great your app is than with a demo video? We all know they work. Now, you could spend thousands of dollars creating animated videos showcasing your new app or you could just make use of SoundStage, a software that allows you to record someone interacting with your app as a demo. The software has a built-in iPhone simulator that allows you to record interactions and add music. 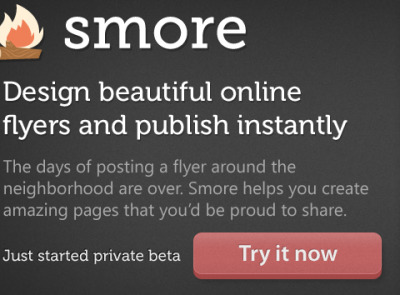 You end up with a cool shareable demo video for that amazing landing page you made with Smore! One great way to market your app is to get impressions through media buys. Banner ads on websites and other mobile apps can drive downloads quickly. The problem here is that unlike the web, where your website’s analytics tools can track conversions, you have no way of reliably tracking how well your ads are performing (due to privacy concerns, UDIDs can no longer be used). To make matters worse, most marketers will use multiple ad networks when trying to reach their audience, so knowing which ad network accomplished something is nearly impossible. MobileAppTracking is a simple tool that you include in your app through their SDK. The tool gives you unique codes for every marketing channel to track impressions, installs and the interactivity level of your users on those channels. 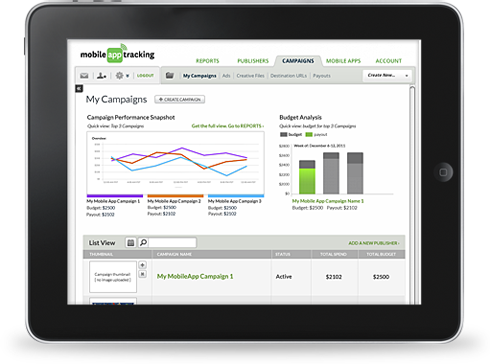 The tool then generates detailed reports of the most successful marketing methods for your app. Getting downloads is challenging, but what’s really going to drive you up the wall is the fact that 62 percent of users stop using an app after the first month. Retaining users is almost as (if not more) important as gaining new ones. Appboy is a company that has created a suite of successful CRM tools for app developers and recently has developed one of the most robust audience segmentations tools you can find. Appboy’s software integrates into your app to track users who download and install it. The tool then breaks down users by their demographics and by their in-app behaviors, allowing you to use targeted marketing methods to each group individually. Send emails, in app messages, and push notifications to get users to interact with your app more often and stay longer. This article was originally published in the Tech section of The Huffington Post. You can read more articles in this series here. Are there any other marketing apps you use that weren’t listed?